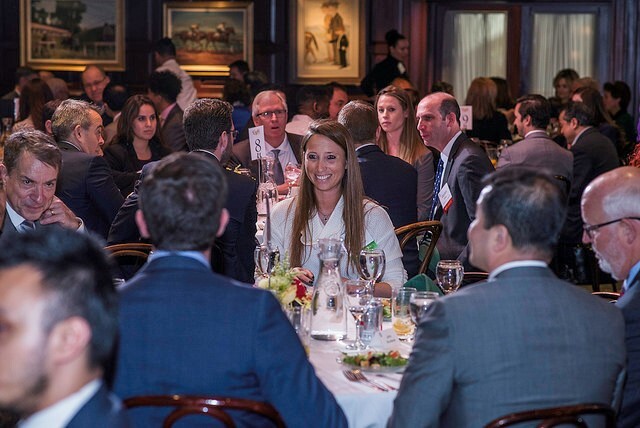 SIE Consulting Group sponsored the Young AFCEA Bethesda Winter IT Luncheon on March 14. Four of us went to represent SIE Consulting Group and had a great opportunity to network with government and industry. The event offered the opportunity to collaborate with others in our field of work and to create new connections with those who share common interests. SIE is proud to sponsor such events and to increase our footprint within the Government IT space. SIE maintains unparalleled IT hardware, software, and cloud industry expertise and specializes in Information Technology, Cloud Adoption, Federal Procurement, and Business Process Improvement. The Young AFCEA program offers professionals 40 years old and under unparalleled networking opportunities with senior leaders. It also includes the opportunity to work with others who will become future leaders in industry, military, government, and academia. Colleen grew up in Bethesda, MD as a competitive student athlete. She attended the University of Virginia on a full Varsity Swimming scholarship and graduated with degrees in Psychology and French. Following undergrad, Colleen attended the University of Manchester in the UK, where she received an MA in Sociology (as well as a ridiculous amount fresh stamps in her passport!). Since then, her professional background has focused on conference services, customer experience, and relationship management.